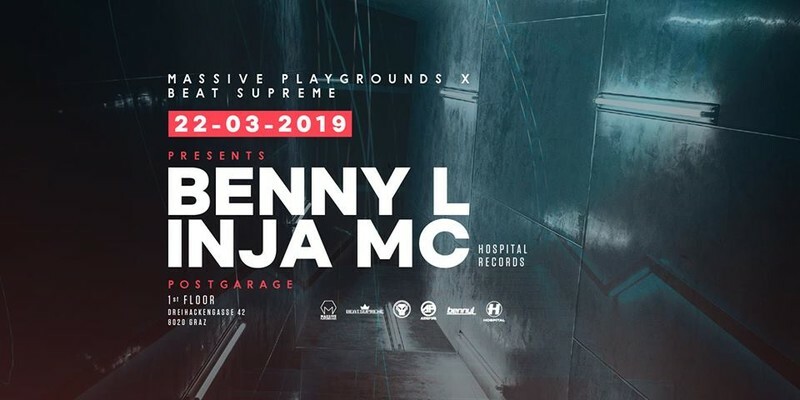 Benny L is by far one of the hottest newcomers in the game with his recent 'Police in Helicopter' Remix turning into the first-ever drum & bass track to hit #1 of the Beatport overall charts. Pushing out releases on the most well-known labels such as Hospital or Metalheadz today, he met Shimon at a DNBTV show in Bristol back in 2012 and debuted on Audioporn in 2015. "Even from that first Granulate EP you could hear he was on to something". Shimon obviously felt the potential of Benny's defined and clean, but crunchy and heavy basslines. Inja, Hospitality's resident MC, is an exceptional Artist whose work spans over a huge variety of genres including hiphop, grime, drum and bass and freestyle poetry. He is one of the UK’s most energetic, crowd-pleasing and versatile performers. As well as performing, Inja co-runs Page to Performance, a UK-based education organisation with the central aim of bringing words and poetry to life. He runs workshop and performance days in freestyle poetry, lyric writing and MC skills, both solo and together with spoken word artist Hollie McNish. He works in schools, youth clubs and theaters.